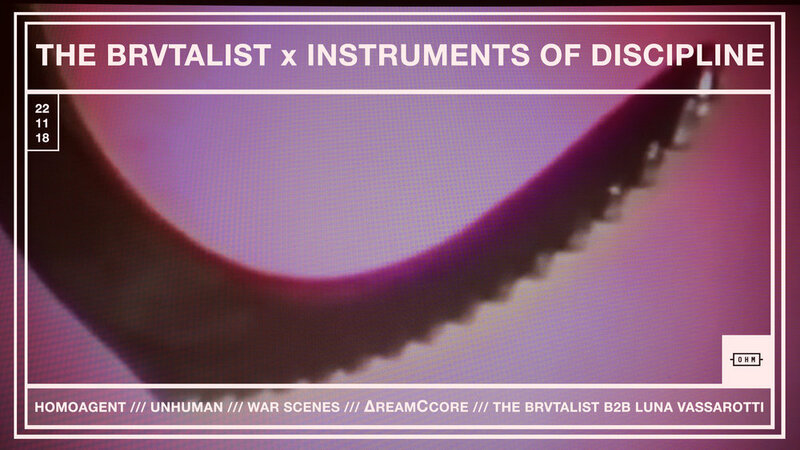 The Brvtalist is proud to present a new live set from War Scenes. The Berlin-based artist delivers a punishing work of industrial, techno and harsh electronics for a trve sonic assault. War Scenes recently released a killer tape titled Anorexia (Instruments of Discipline), and you can catch him LIVE on October 22nd at Ohm Berlin for THE BRVTALIST x INSTRUMENTS OF DISCIPLINE event.